We at iQlance provide you with complete and end-to-end type of hybrid app development solutions. For this, we take steps to combine the latest frameworks available for different mobile devices, such as Sencha and PhoneGap with the power of HTML5 development. We always strive hard to design native looking applications for every big platform, such as iOS, BlackBerry, Windows and Android phones. Our development team always employs native app features as well as abilities, while serve to put developers and companies to adopt HTML5-based mobile apps development. Until now, we succeeded to deliver high-performing, robust, feature-packed, secured, scalable and easy-handling hybrid app development services to fulfill varying requirements of major IT companies and other business organizations. 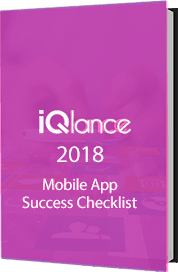 Our hybrid app developers at iQlance have blended the entire development methodology with countless diversified technologies and features to provide ultimate hybrid app solutions to our clients. Collecting Client’s Requirements:We discuss with our clients to get an idea to evaluate the concept behind app development. Once we collect the idea, we refine it to create it highly lucrative and at the same time, analyze the exact requirements. Design of the Hybrid Mobile App: Next, we select an appropriate design style for the potential hybrid app. Before we finalize the design, we create an initial draft and confirm with our clients further. Hybrid App Development: We choose every possible hybrid app resources, such as hybrid app animation, objects and background, while code the necessary hybrid app mechanics. Other than this, we take steps to create UI components and level design, while integrate each important components. Quality Assurance Testing: While our development process goes on, our experts perform quality assurance test on a regular basis. This helps in identifying any discrepancy and fixes the problem to make sure that the newly designed Hybrid app becomes market ready. Now, our hybrid app becomes ready to deliver to our clients or to launch on the App Store according to the requirement of our clients. Therefore, with our dedication, expertise, knowledge in the field of hybrid app development, we succeeded to deliver you the flawless, top quality and dynamic hybrid app solutions globally.